I am! I really, really am! 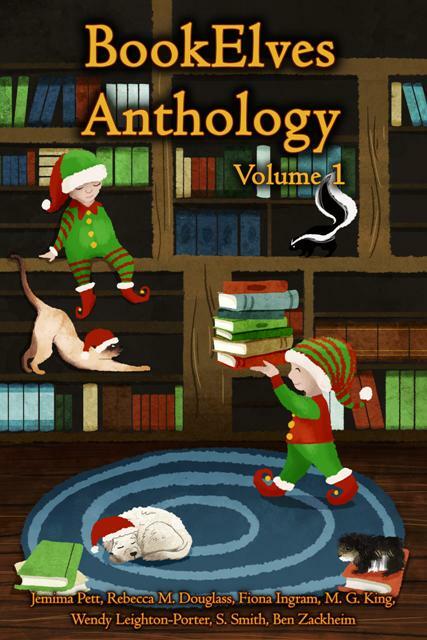 It’s called the BookElves Anthology and it’s got a story all about me (and Dougall) and our castle in the far north, a place called Haunn, on Mull. And it’s a very very exciting adventure and I get into a lot of danger but I’m very brave and … and I’m not allowed to tell you the ending in case it spoils it. You can buy the book at all sorts of places. It’s in paperback at Amazon and at another place called Createspace, and it’s for ebook readers at Amazon and B&N and Apple and Kobo and Smashwords. I hope you know which one you want. And there are lots of other stories, including one starring a cat called Max and another starring a dog called Champ. And they are all sort of set around Christmas and they’re suitable for children too. You can read more about it at Jemima’s blog.